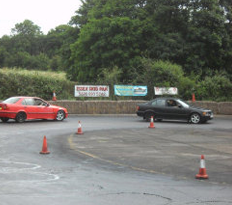 We Are Mick And Mike A Small Proffessional Company That Provides Driving Services To Both The Emergency Services And To The Public, Driving Assessments, Driver Training At Advanced Level, And The Skid Pan Experience. Mike Also Class One Police Driver And Rider Has Held Motor Cycle Car And Lgv 1 Licenses, Last Police Post Chief Instructor At The Essex Police Driving School. All Our Assessors Are Retired Police Class One Drivers, All Have Received Advanced-defensive Driver Training By Some Of The Best In The World. 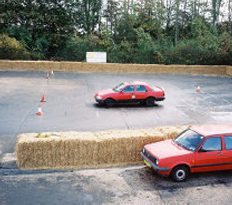 Advanced Or As Some Call It Defensive Driving Skills Are Not As Difficult To Obtain As You Might Have Been Led To Believe, Observation And Concentration Are Some Of The Key Factors That Are Required To Avoid Accidents. It Was Determined In A Transport And Road Safety Laboratory Report Puplished In 1972 That Advanced Motorists Have Between 50% And70% Lower Accident Rate. It Should Be Emphasised That Higher Driving Standards Can Reduce The Likelihood Of An Accident And That Is The Main And Most Significant Benefit Of Advanced Driving Assessments Or Training. You Will Arrive At The End Of Your Journey Less Stressed Out. 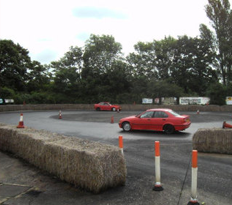 OUR OWN UNIQUE SKID PAN FACILITY, AN EXPERIENCE OF A REAL SKID AND THE DYNAMICS OF CAR CONTROL, ONE TO ONE OR GROUPS, IDEAL FOR THE CORPORATE ACTIVITY DAY.